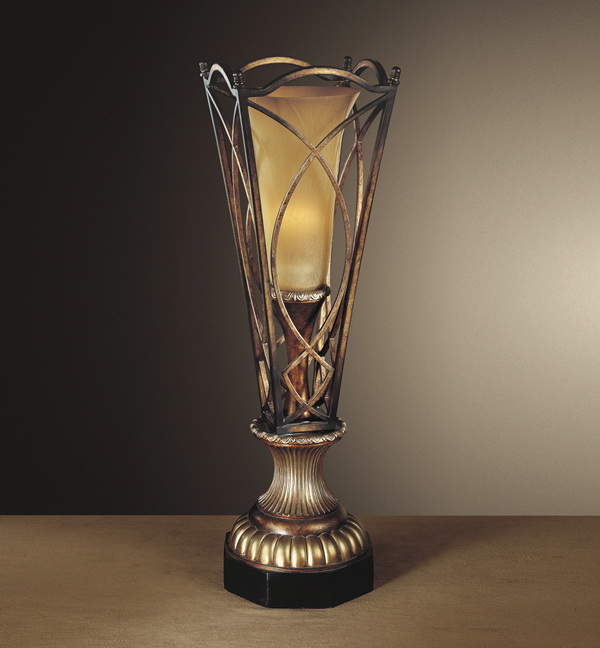 Minka Lavery is a brand of decorative home lighting. They have a large number of interior and outdoor lighting collections ranging from contemporary to transitional and traditional styles – with finishes ranging from bronze, copper, to gold, chrome, or iron. Here we will take a look at their Aston Court Collection – ideal for traditional home lighting design. The Aston Court is just one of Minka Lavery’s traditional lighting collections. 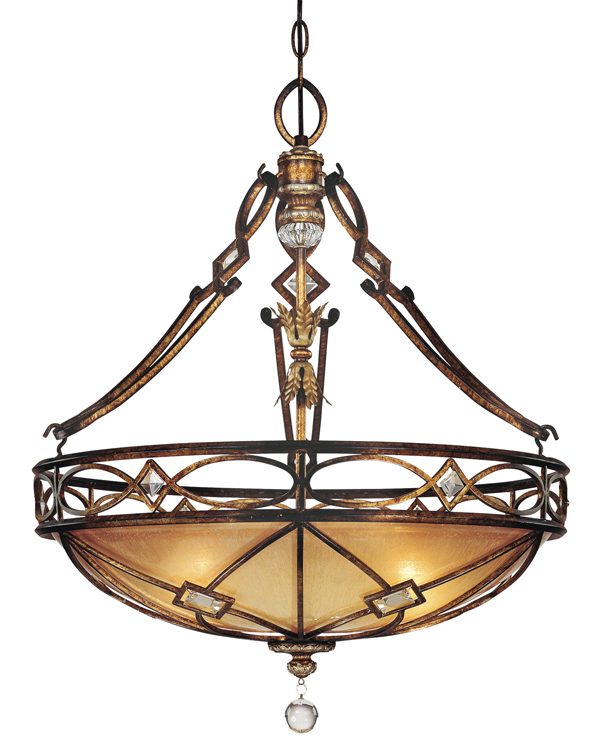 Neo classical influenced, it showcases balanced and simplistic light fixture designs. They are bronze finished and provide a room with soft diffused lighting, as the shades are made out of Avorio Mezzo glass or fabric. 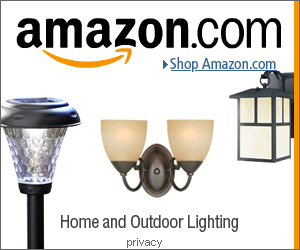 In this collection you can find lights for all indoor rooms. The Aston Court lighting collection includes: bathroom wall lights – wall sconces -torch wall sconces – candelabra wall lights – wide ceiling lights – traditional pendant lights – 5/9/11/12 light chandeliers – 3 light mini chandelier – and even a ceiling medallion. Prices range from $87 for a 1 light wall sconce to $1798 for a 12 light chandelier. The Minka Lavery site. 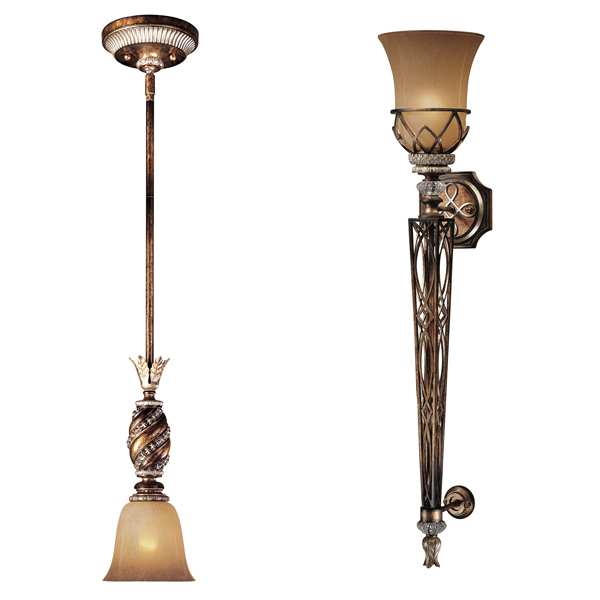 The Aston Court collection is available at at Lamp Plus.